It is December, which means that my ears are ringing from the sound of those guys in red who ring bells at non-OSHA approved decibel levels for hours on end in front of grocery stores for a few nickles that get tossed into the tri-pod suspended red soup bucket. The payback period on capital spent on those silly donation buckets hangers must be short enough that the amount they spend on bell clappers doesn't exceed the daily donations...but I've totally lost the point..December...yes, almost Christmas time, and all I want for Christmas is an LSX powered Datsun coupe. 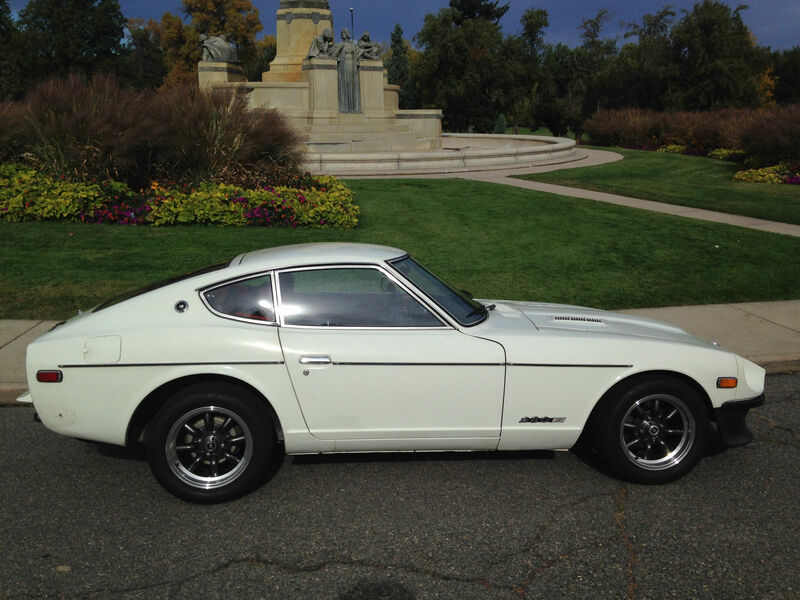 Like this 1978 Datsun 280Z here on eBay bidding for $8,300 reserve-not-met with 3 days to go, located in Denver, CO.
Puh-leassss Santa, I've been a good boy all year. 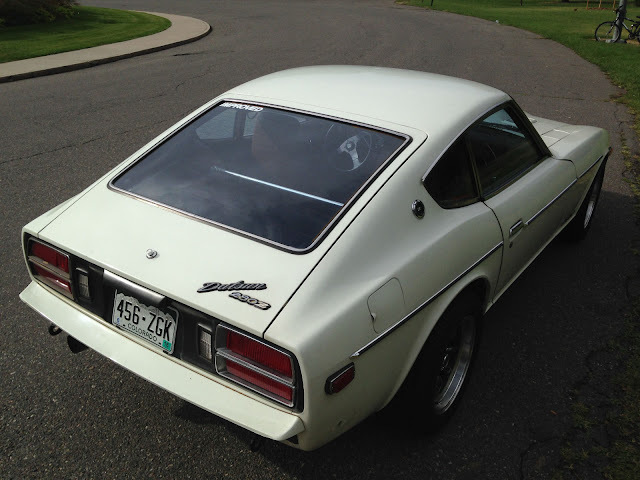 I don't need something with a perfect paint job, and I don't even care if the S30 comes from the last year of production when big bumpers and smog laws made them less fun...because the one I want has something special under the hood. Jolly old St Nick, when you check that list the second time, you might have noticed that I removed the original engine and added a request for a 6.0 liter LY6 V8 with LS3 heads, a TSP mild cam kit and a Cadillac CTS-V Eaton supercharged with upgraded pulley. If you look carefully, you will notice that my preferred car has 537 reindeer power and 514 ft-lbs of torque pushed into the rear tires. 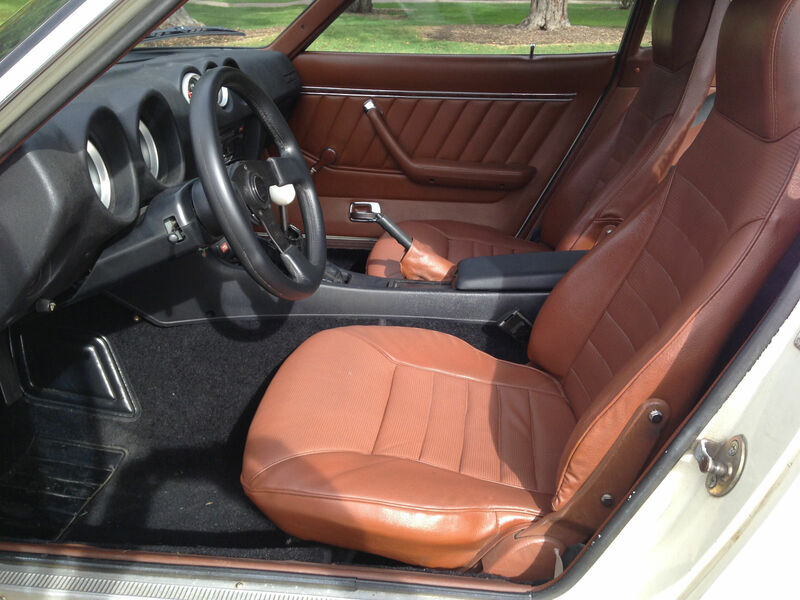 And please understand that I mean no disrespect to automatic transmission equipped sleigh drivers, but I want the Z under my tree to have a T56 6-speed manual gearbox mated to an OBX helical limited slip differential out back with 3.54:1 gears. 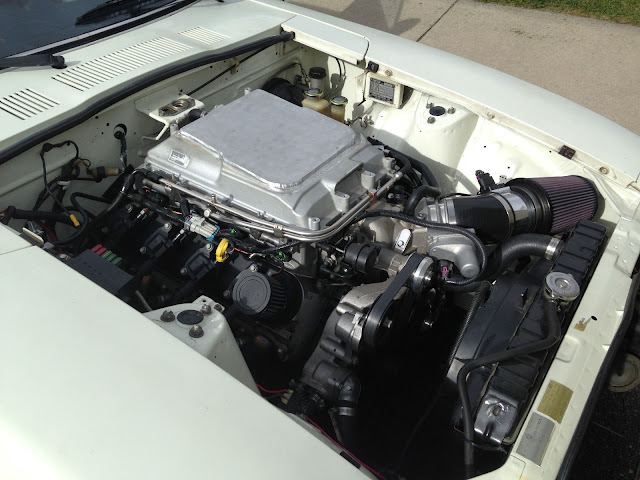 That is one of the cleanest engine swaps I have ever seen on a Z. Kudos for preserving the stock exterior and interior appearance. As the seller notes, the car deserves to have the outside tidied up a bit (for example, those left over rear bumper mounting points). I wonder how high the reserve will be? The super charger really turns this thing up to 11. Looks like they had to lop off the top of the intercooler to get the whole package to fit under the bonnet! I respect this decision. Seems like every thing gets a cowl induction hood or gets tilted upwards when things don't fit. Haha I like it when sellers add stuff like this, "Custom 4" hot air intake". In all seriousness though, this is my dream car.